The following are some of the topics that are discussed in Surah Maryam. 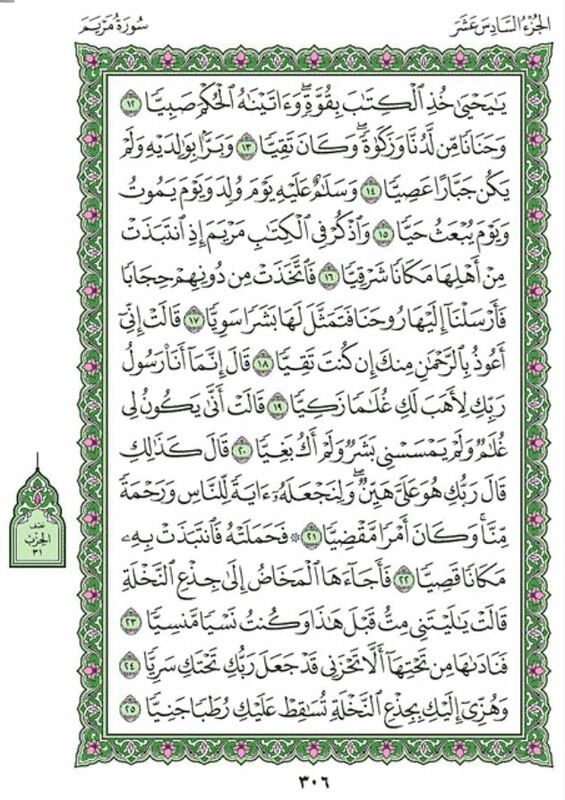 This chapter (surah) starts with the special letters of ‘Kaf Ha Ya Ain Saad‘, the meaning of which are known only to Allah. 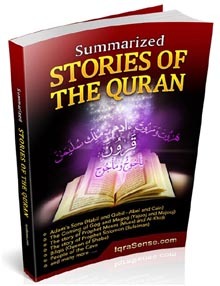 The surah then starts with the story of Prophet Zakariah who until his old age did not have any children. So, he calls upon Allah to have a son. Allah (out of his power and mercy) responds to his invocation by giving him the news that he would get a son. At this Prophet Zakaria becomes surprised and responds by saying whether it was still possible for his wife to have a son as she was barren and he himself had reached a very old age. Allah tells him that Allah has the power over all things and this would be easy for Him since Allah had created him when he was nothing. (Reference: Verse 9). As a sign, Allah told Prophet Zakariah that he should not speak to anyone for three nights. Prophet Zakaria then gets a son named Yahya (John). His son was told to hold fast to the Scripture (Torah) (as that was Allah’s Word to be preached to the people at the time). 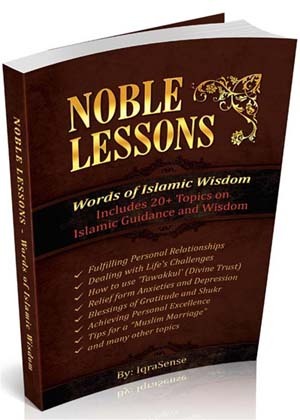 Allah gave Zakariah wisdom since he was young as a child and made him a blessed child who was good toward all. 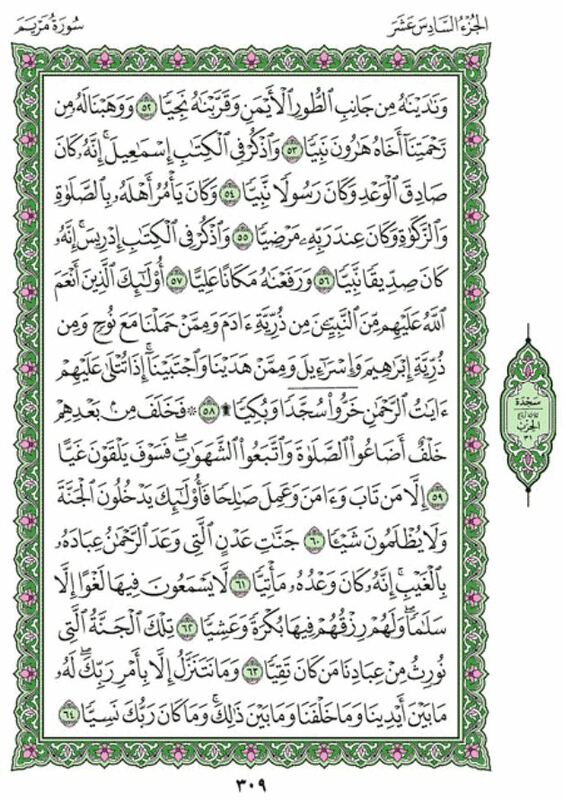 The Surah then turns to the story of Maryam (Mary, who was the mother of Jesus / Eesa). Maryam withdrew from her family and in her seclusion, an angel (Angel Gabriel / Jibreel) appeared to her and informed her that she was going to become the mother of a son. At this, Maryam became surprised and in her shock asked the angel how could that be possible when no man had touched her and that she was not unchaste. Allah replies that this was easy for Him and he was going to make Jesus (Eesa) through His decree, as a sign for mankind and a mercy from Allah. So after this, Maryam conceived Jesus (Eesa) and withdrew with the the child to Bethlehem, a few miles from Jerusalem. They reminded her that her father and mother were both noble people. At this she pointed to the baby Jesus / Eesa and they asked how could they talk to a child in a cradle. Allah then tells mankind that this is a statement of truth even though people disputed about the facts. 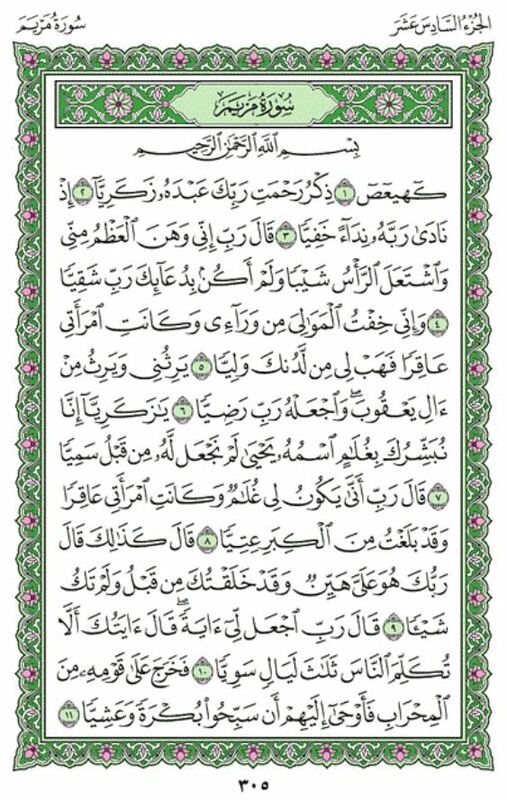 The surah then mentions how various sects were formed and they deviated from the truth and facts. He told his father that it was akin to worshiping Satan, who has rebelled against Allah and Allah would punish those unbelievers. 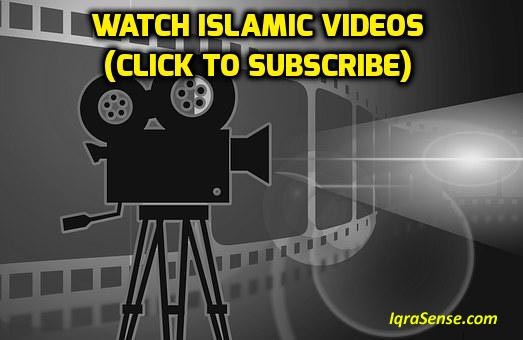 After that Prophet Ibrahim was blessed with Issac (Prophet Ishaq) and Jacob (Prophet Yaqub). 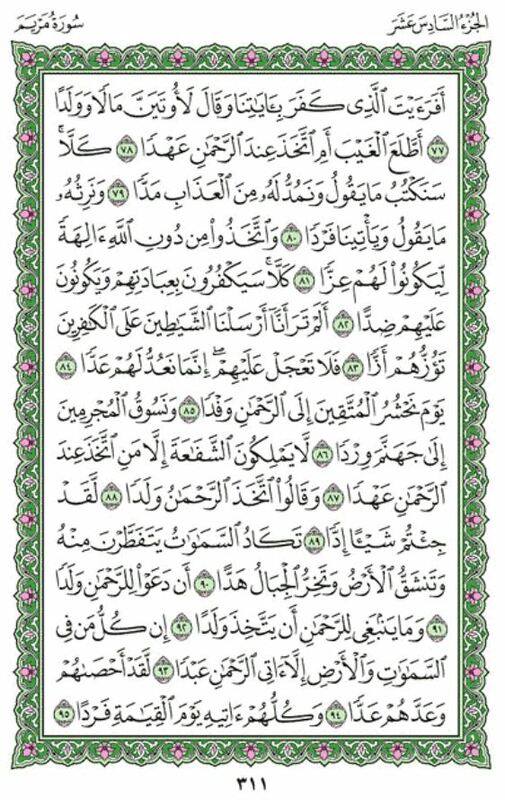 The surah then mentions Prophet Moses (Musa). 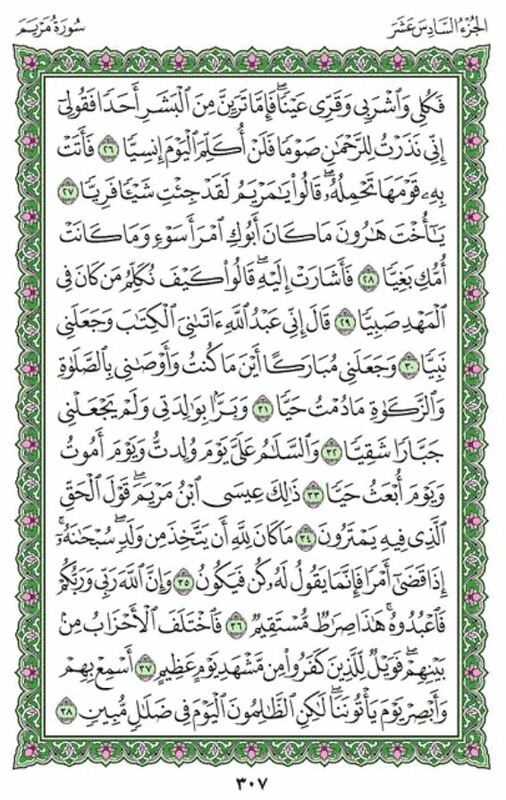 Allah made him a prophet and spoke to him near the mount and also made his brother Aaron (Harun) a prophet. 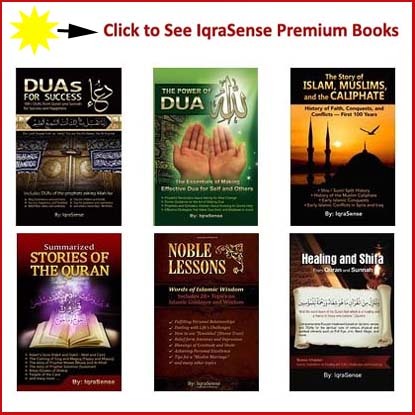 Allah also mentions that He made Ismaeel (Ishmael) and Idrees (Enoch) prophets as well. The surah also references prophet Nuh (Noah), and Israel as they were all guided on the straight path. The surah then mentions that those who were negligent in prayers (and their other duties) would be punished in the hell fire, whereas the others will be rewarded paradise (Jannah – Eden). (Reference: verses 59 to 63). Some from mankind doubt that they would be resurrected after they depart this world. The Quran asks them to think that Allah created them when they were nothing. And Allah says that He will gather all mankind along with the devils and Satan that whisper doubts in the hearts of mankind and would punish them for their rebellion against Allah and for their disbelief. (Reference: verses 66 to 71). 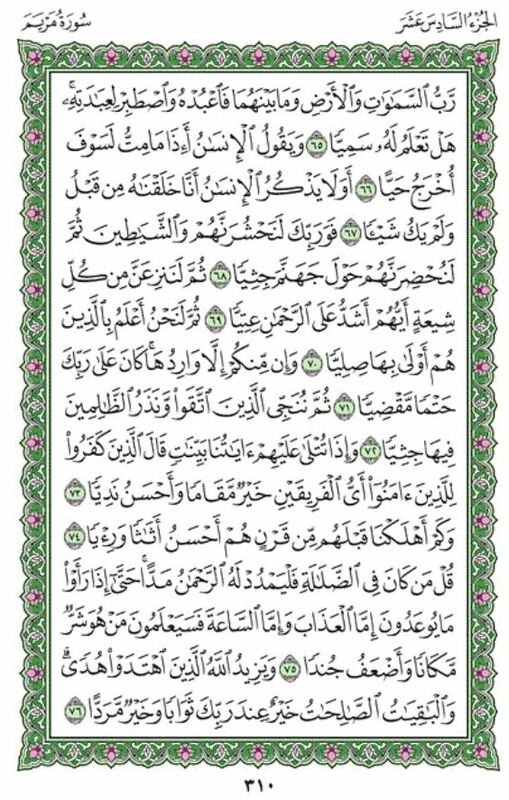 The surah points out that when these verses were recited on the disbelievers, they would point to their high positions and status (to show that disbelief in such verses didn’t matter to them.) Allah reminds them that Allah had destroyed many nations who were better in wealth, goods, and their outward appearances. The verses remind mankind that righteous goods that last are better with Allah for reward. The Surah highlights the cases of those who make lofty claims without any knowledge. Allah asks them whether they have any knowledge of the unseen based on which they make such claims of rewards for themselves. 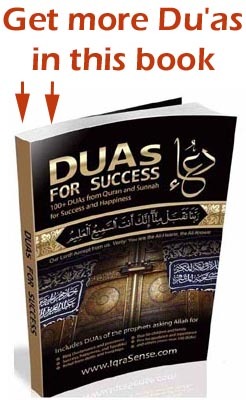 Such men of disbelief are those that take other deities other than Allah and Allah reminds the disbelievers that such gods and deities will deny being their lords and gods on the final day when everyone is held to account for their disbelief in the oneness of Allah as a deity and bad deeds. Allah then tells the prophet in the verses not to be hasty for them as Allah gives such people a respite until an appointed time. That day Allah will gather all those who are pious as well as those who were rebellious and sinners. And that day no one will be allowed to intercede but one who receives specific permission from Allah. Allah then reminds the believers that to those who believe and work righteousness, Allah will bestow love for them. 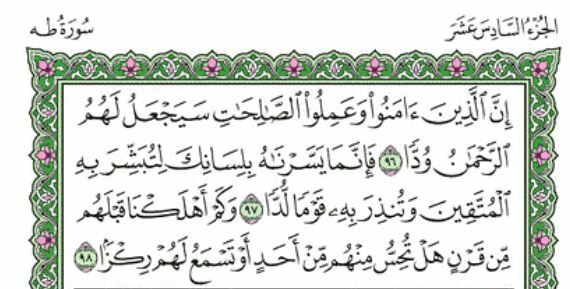 The verses remind that Allah revealed the Quran in the prophet’s tongue so it would be easier for him to give glad tidings to the righteous and a warning to those who continue to disbelieve. And as for such disbelievers, there were many such nations that came earlier and there is no more sign or whisper about them. and many more other topics. [These letters are one of the miracles of the Qur’an, and none but Allah (Alone) knows their meanings]. 4. Saying: “My Lord! Indeed my bones have grown feeble, and grey hair has spread on my head, And I have never been unblest in my invocation to You, O my Lord! 6. “Who shall inherit me, and inherit (also) the posterity of Ya’qub (Jacob) (inheritance of the religious knowledge and Prophethood, not the wealth, etc.). And make him, my Lord, one with whom You are Well-pleased!”. 11. Then he came out to his people from Al-Mihrab (a praying place or a private room, etc. ), he told them by signs to glorify Allah’s Praises in the morning and in the afternoon. 12. (It was said to his son): “O Yahya (John)! Hold fast the Scripture [the Taurat (Torah)].” And We gave him wisdom while yet a child. 14. And dutiful towards his parents, and he was neither an arrogant nor disobedient (to Allah or to his parents). 15. And Salamun (peace) be on him the day he was born, the day he dies, and the day he will be raised up to life (again)! 27. Then she brought him (the baby) to her people, carrying him. They said: “O Mary! Indeed you have brought a thing Fariya (an unheard mighty thing). 34. Such is ‘Iesa (Jesus), son of Maryam (Mary). (it is) a statement of truth, about which they doubt (or dispute). 35. It befits not (the Majesty of) Allah that He should beget a son [this refers to the slander of Christians against Allah, by saying that ‘Iesa (Jesus) is the son of Allah]. Glorified (and Exalted be He above all that they associate with Him). When He decrees a thing, He only says to it, “Be!” and it is. 37. Then the sects differed [i.e. 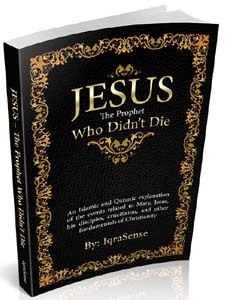 the Christians about ‘Iesa (Jesus)], so woe unto the disbelievers [those who gave false witness by saying that ‘Iesa (Jesus) is the son of Allah] from the meeting of a great Day (i.e. the Day of Resurrection, when they will be thrown in the blazing Fire). 38. How clearly will they (polytheists and disbelievers in the Oneness of Allah) see and hear, the Day when they will appear before Us! But the Zalimun (polytheists and wrong-doers) today are in plain error. 39. And warn them (O Muhammad ) of the Day of grief and regrets, when the case has been decided, while (now) they are in a state of carelessness, and they believe not. 41. And mention in the Book (the Qur’an) Ibrahim (Abraham). Verily! He was a man of truth, a Prophet. 42. When he said to his father: “O my father! Why do you worship that which hears not, sees not and cannot avail you in anything? 43. “O my father! Verily! There has come to me of knowledge that which came not unto you. So follow me. I will guide you to a Straight Path. 44. “O my father! Worship not Shaitan (Satan). Verily! Shaitan (Satan) has been a rebel against the Most Beneficent (Allah). 47. Ibrahim (Abraham) said: “Peace be on you! I will ask Forgiveness of my Lord for you. Verily! He is unto me, Ever Most Gracious. 49. So when he had turned away from them and from those whom they worshipped besides Allah, We gave him Ishaque (Isaac) and Ya’qub (Jacob), and each one of them We made a Prophet. 51. 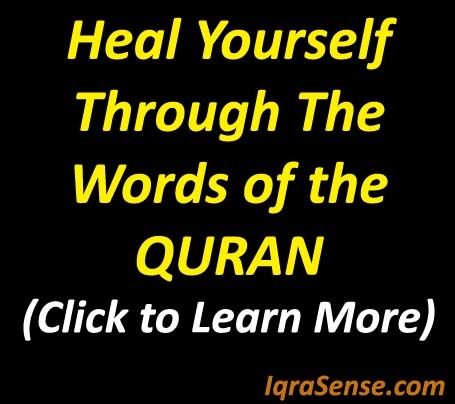 And mention in the Book (this Qur’an) Musa (Moses). Verily! He was chosen and he was a Messenger (and) a Prophet. 52. And We called him from the right side of the Mount, and made him draw near to Us for a talk with him [Musa (Moses)]. 53. And We bestowed on him his brother Harun (Aaron), (also) a Prophet, out of Our Mercy. 54. And mention in the Book (the Qur’an) Isma’il (Ishmael). Verily! He was true to what he promised, and he was a Messenger, (and) a Prophet. 55. And he used to enjoin on his family and his people As-Salat (the prayers) and the Zakat, and his Lord was pleased with him. 56. 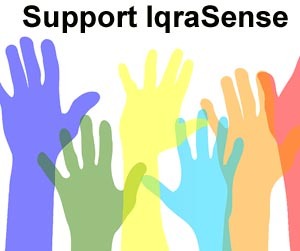 And mention in the Book (the Qur’an) Idris (Enoch).Verily! He was a man of truth, (and) a Prophet. 58. Those were they unto whom Allah bestowed His Grace from among the Prophets, of the offspring of Adam, and of those whom We carried (in the ship) with Nuh (Noah), and of the offspring of Ibrahim (Abraham) and Israel and from among those whom We guided and chose. When the Verses of the Most Beneficent (Allah) were recited unto them, they fell down prostrating and weeping. 59. Then, there has succeeded them a posterity who have given up As-Salat (the prayers) [i.e. made their Salat (prayers) to be lost, either by not offering them or by not offering them perfectly or by not offering them in their proper fixed times, etc.] and have followed lusts. So they will be thrown in Hell. 60. Except those who repent and believe (in the Oneness of Allah and His Messenger Muhammad ), and work righteousness. Such will enter Paradise and they will not be wronged in aught. 61. (They will enter) ‘Adn (Eden) Paradise (everlasting Gardens), which the Most Beneficent (Allah) has promised to His slaves in the unseen: Verily! His Promise must come to pass. 62. They shall not hear therein (in Paradise) any Laghw (dirty, false, evil vain talk), but only Salam (salutations of peace). And they will have therein their sustenance, morning and afternoon. [See (V.40:55)]. 63. Such is the Paradise which We shall give as an inheritance to those of Our slaves who have been Al-Muttaqun (pious and righteous persons – See V.2:2). 68. So by your Lord, surely, We shall gather them together, and (also) the Shayatin (devils) (with them), then We shall bring them round Hell on their knees. 69. Then indeed We shall drag out from every sect all those who were worst in obstinate rebellion against the Most Beneficent (Allah). 72. Then We shall save those who use to fear Allah and were dutiful to Him. And We shall leave the Zalimun (polytheists and wrongdoers, etc.) therein (humbled) to their knees (in Hell). 76. 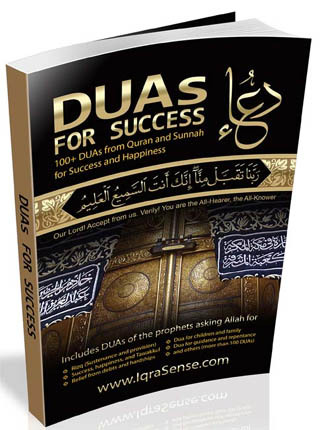 And Allah increases in guidance those who walk aright [true believers in the Oneness of Allah who fear Allah much (abstain from all kinds of sins and evil deeds which He has forbidden), and love Allah much (perform all kinds of good deeds which He has ordained)]. 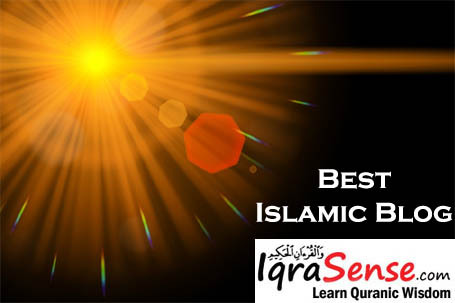 And the righteous good deeds that last, are better with your Lord, for reward and better for resort. 78. Has he known the unseen or has he taken a covenant from the Most Beneficent (Allah)? 81. And they have taken (for worship) aliha (gods) besides Allah, that they might give them honour, power and glory (and also protect them from Allah’s Punishment etc.). 83. See you not that We have sent the Shayatin (devils) against the disbelievers to push them to do evil. 85. The Day We shall gather the Muttaqun (pious – see V.2:2) unto the Most Beneficent (Allah), like a delegate (presented before a king for honour). 87. None shall have the power of intercession, but such a one as has received permission (or promise) from the Most Beneficent (Allah). 91. That they ascribe a son (or offspring or children) to the Most Beneficent (Allah). 92. But it is not suitable for (the Majesty of) the Most Beneficent (Allah) that He should beget a son (or offspring or children). 93. There is none in the heavens and the earth but comes unto the Most Beneficent (Allah) as a slave. 96. Verily, those who believe [in the Oneness of Allah and in His Messenger (Muhammad )] and work deeds of righteousness, the Most Beneficent (Allah) will bestow love for them (in the hearts of the believers). 97. 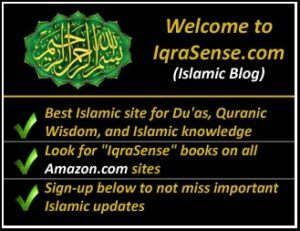 So We have made this (the Qur’an) easy in your own tongue (O Muhammad ), only that you may give glad tidings to the Muttaqun (pious and righteous persons – See V.2:2), and warn with it the Ludda (most quarrelsome) people. 98. And how many a generation before them have We destroyed! 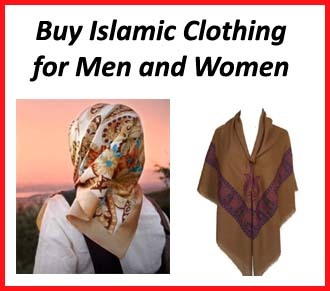 Can you (O Muhammad ) find a single one of them or hear even a whisper of them?